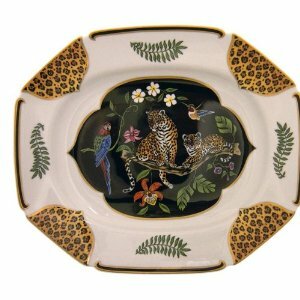 Put a leopard on your table and make it roar! Jaguar Jungle one of Lynn’s earliest and, perhaps, most iconic design remains in the collection and was honored with the International Tabletop Committee’s Best Design and Impact Award in 1991. The Lynn Chase Wildlife Foundation (LCWF)was founded by wildlife artist Lynn Chase in 1988. More than 40 grants have been earmarked to support a wide variety of projects intended to preserve and protect endangered species around the world and to maintain their fragile ecosystems.